As we shake our heads in bewilderment at what appears to be the pre-planned and concerted effort by Volkswagen’s managers and its engineers to commission and install software to falsify their emissions reporting, the science of behaviour ethics provides some valuable insights into how widespread unethical behaviour can flourish inside organisations while its employees remain blindsided to their unethical acts. When large groups (Professor Guido Palazzo) engage in widespread unethical behaviour it is likely due to the fact they are unaware of the psychological, sociological and organizational contextual influences that are causing them to make poor ethical choices. In particular, they are unaware of the power of the context in which they are embedded which shape their choices by determining what selective information is drawn upon. They become, as Dan Ariely says, predictably irrational and influenced in ways we can’t grasp. Such was found to be the case amongst the NASA engineers who voted for the space shuttle to take off despite their concerns for its safety. The NASA organisational culture and the imperative to maintain a lead in the space race was found to have narrowed the frame of reference in which the engineers made their decision to allow the shuttle to take-off overriding safety concerns. The context was one where NASA’s organisational goals became the pre-eminent criteria to consider. The U.S. Senate enquiries into the recent Ford motor company scandal involving a known design fault that had not rectified on the basis of a “maintain costs” culture was attributed to be one of the contextual factors that enabled so many employees to remain silent about the defective part. The result was many deaths and injuries concealed by the company. Perhaps the first step to building a new picture of how system-wide unethical behaviour emerges is to rethink our starting assumptions about how people make decisions. Too often it is simply assumed that people are largely rational and therefore make rational decisions or ethical decisions based on a known frame. Compliance programs begin with this assumption. This assumption, however, ignores the power of business contexts and the psychological and sociological dynamics that play out that can shape dramatically how organisational members make decisions. The biggest social pressure of all is the pressure to “go along to get along.” This pressure operates at all levels in organisations and becomes even stronger the higher up the hierarchy you ascend and perhaps flourishes most in corporate boardrooms. Peer, time, budget and resource pressures are the common contextual influences that impact employees and their decision making abilities. Research shows that while employees may wish to do the right thing, if they are under significant time pressure they are more likely to act unethically. So too, if they are exhausted and overstressed, they are more likely to choose to do the wrong thing. Another powerful contextual influence is the overarching corporate imperative or mandate around how success is achieved. In the case of the recent Ford Motor company, it was around “maintaining costs”; for Enron is was “Push everything to the limits”; for the Australian Wheat Board it was “this is how business is done overseas” while in the finance industry it’s often “Cash is King”. These corporate mantras give rise to individual mental or cognitive “frames” that narrow employee perceptions screening out pertinent information such as a consideration of the possible harm caused by following such a successful route. Such frames not only filter what employees see and how they see it (and therefore how they make decisions), but they also create blind spots or ‘ethical blindness’ so that employees remain unaware that what they are doing is unethical. A decision that may look unethical outside the frame or to an external stakeholder may look acceptable inside it e.g. the Libor rigging in UK finance industry or the FIFA corruption scandal that is unfolding. Frames are shaped by organisational dynamics and cause individuals to make different choices than they would have if they were acting consistently with their personal values. As important as “frames” are so too is another social phenomenon and that is our ability to rationalize our poor behaviour which in turn enables us to feel okay about ourselves despite our behaviour. Research shows that when employees’ conduct clashes with their prior beliefs, their beliefs swing into conformity with their conduct, without them noticing. Deeds that they might otherwise have condemned as unethical are, once undertaken, re-categorised as acceptable. These rationalizations not only facilitate future wrongdoing but limit awareness that such behaviour is unethical. Key rationalisations include ‘denial of responsibility – “here employees might think “I know this is wrong, but my manager asked me to do it.”; ‘social weighting’ – “I know this is wrong, but others do even worse things.”; or ‘appeal to higher loyalties’- “I know this is wrong, but my company really needs this to be done”. The social bottom line in business is that organisational cultures can corrupt; that the context in which employees find themselves will shape how they make decisions; and employees and their leaders must take proactive measures to ensure they are aware of these contextual pressures and are skilled in managing them. 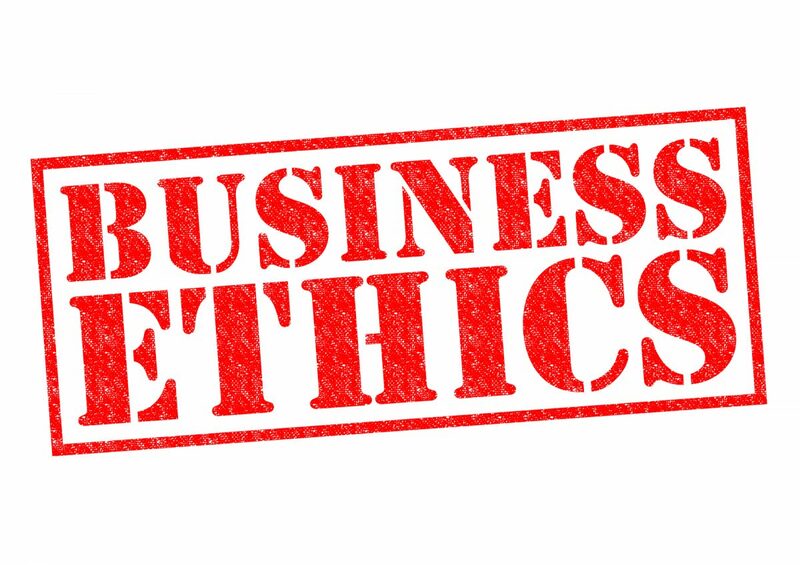 The new research highlights how managing business ethics is in fact more about how leaders establish their organisational context and how they skill their people than it is about a group of predetermined answers that can be neatly woven into a compliance program. The growing trend towards annual e-learning ethics training modules as a convenient means of ‘teaching’ ethics is not enough to promote ethical standards in a world where values and expectations of corporations are continually evolving. Knowing the right thing to do is not the same as doing the right thing. Employees at all levels need to be constantly and consistently ‘nudged’ towards ethical rather than convenient behaviour. The messages people receive on a daily, weekly, monthly and annual basis are critical to achieving high ethical cultures that truly serve to change stakeholder expectations. Or else, as in the case of VW, Ford, AWB and NASA, the costs can be astronomical.